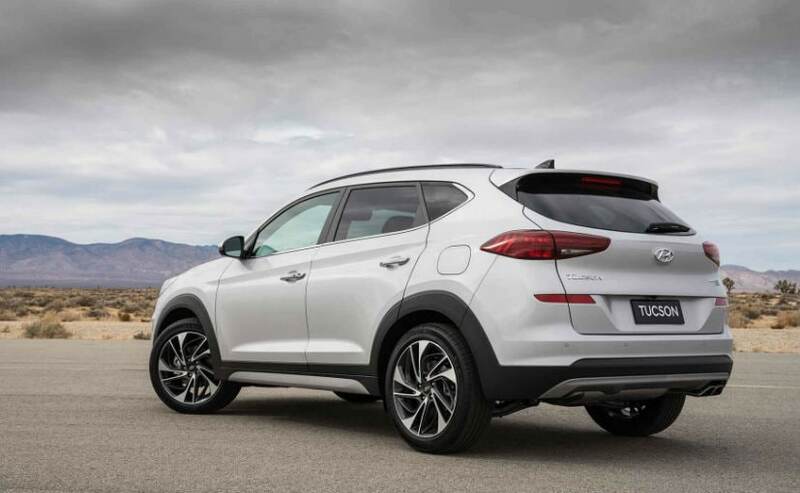 The 2019 Hyundai Tucson gets a mid life-cycle refresh with a comprehensively updated interior, revised exterior and a new engine option for the US. Hyundai has unveiled the 2019 Tucson facelift at the New York Auto Show with refreshed styling, more power and a host of new tech on offer. 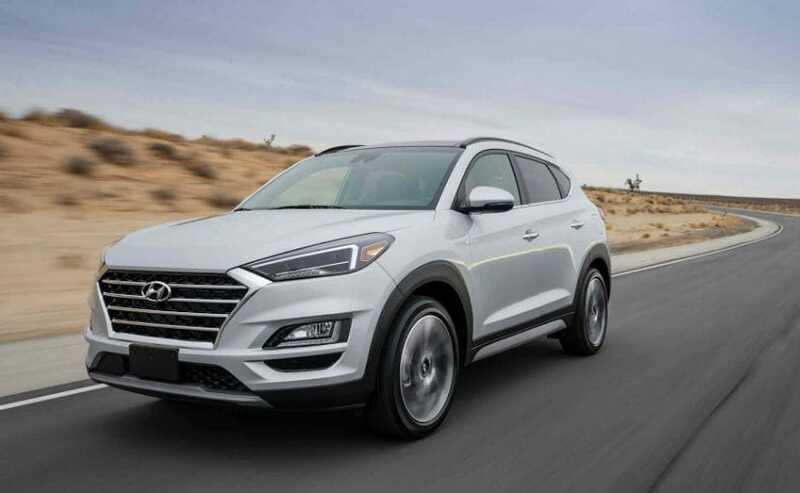 The Hyundai Tucson is positioned below the Santa Fe in the automaker's line-up and the updated model borrows cues from the latter's new generation model. 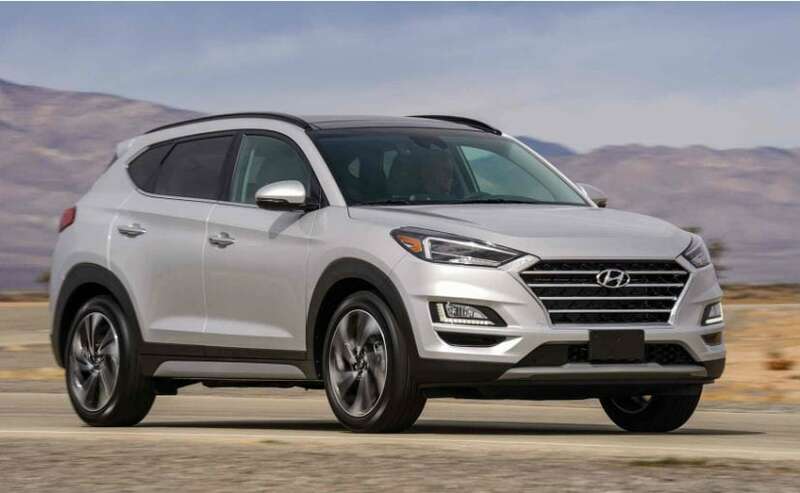 Changes on the 2019 Hyundai Tucson include the new cascading trapezoidal grille that is now standard across all modern day cars from the Korean automaker, while headlights looks sharper now and integrate the new L-shaped LED daytime running lights. The grille now features four chrome slat instead of three on the predecessor, while the fog lamp housing and bumper has also been revised on the model. The 2019 Hyundai Tucson also gets a more seamless looking taillight design, while the reflectors have moved up on the tailgate in-line with the number plate holder. 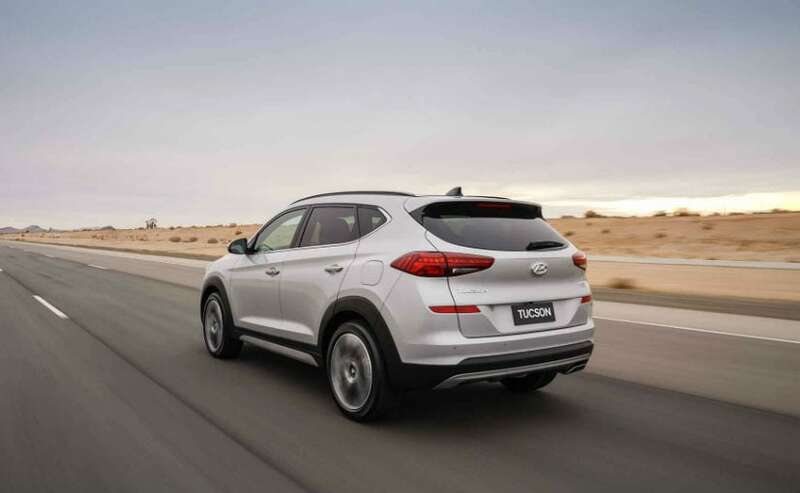 The 2019 Hyundai Tucson is a mid life-cycle update to the SUV, but brings a major upgrade to the interior. The centre console has seen a major overhaul with a new floating touchscreen infotainment system in place that now rises from the dashboard similar to that of the new Kona. The air vents have also been moved below the touchscreen unit instead of flanking the display. The cabin also boasts of a revised instrument cluster and an electronic parking brake thrown in the mix. Upgrades also include new leather seat design, along with improved safety tech. The 2019 Tucson gets Forward collision-avoidance assist and lane keeping assist now as standard, in addition to a surround-view monitor and adaptive cruise control with stop-and-go traffic support. Other driver aids on the SUV include high beam assist, rain-sensing wipers, wireless device charging and USB chargers in the second row. Under the hood, the 2019 Hyundai Tucson continues to get the 2.0-litre four-cylinder petrol engine with 164 bhp and 204 Nm of peak torque. Hyundai has introduced a new 2.4-litre four-cylinder petrol engine with 181 bhp, which replaces the 1.6-litre turbocharged engine with 175 bhp that was previously available on the model. Both the 2.0-litre and 2.4-litre mills come paired to a 6-speed automatic transmission in the US. Hyundai will be introducing the 2019 Tucson facelift in the US towards the end of this year. The updated SUV can be expected to make its way to the Indian market sometime in 2019. Apart from the new Tucson, the South Korean auto giant also showcased the Kona Electric and new generation Santa Fe for the US at the New York Auto Show 2018.